There is an extended version of the Vegetation Studio Pro demo available. It requires 3 simple steps to install. 2. Download and install this package. 3. Run the demo scene. This should get you started. All documentation is awailable online on this website and in a pdf document included with the asset. If you have any problems open as support ticket (register on this website), join our Skype or Discord text chats or look at the unity forum. The demo scene includes some free samples from the Ferns World and Rustic grass packages of Turboscalpeur. There is an extended version of the Vegetation Studio demo available. It requires 3 simple steps to install. 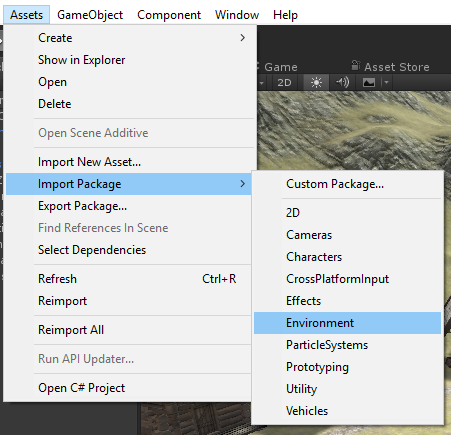 Import the environment package that is included in Unity. 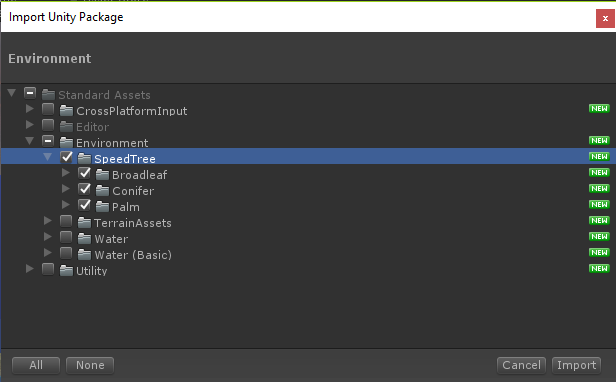 You can install the entire package but at a minimum the folder with the free Speedtrees. You can do this from the unity menu as seen in the image below.